1.1.1 Using 3D Glasses To Watch 3D Movies. 1.1.1.1 Method 1: – Buy a 3D Glass Online. 1.1.1.2 Method 2: – Get 3D a Glass From Local Market. 1.2 Steps To Watch 3D Movies At Home On PC. 1.2.1 Other Players To Watch 3D Movies At Home. We are always happy to watch 3D movies. But it is not possible to see a 3D movie in the Theater every time. Sometimes we do not have a chance to spare to watch 3D movies OR we may have the budget problem. So what is the solution for this serious issue? Just let go of the movie you were excited so much about this? No. we fond a simple method and a solution for this guys. In this solution, you can easily watch 3D movies at home without any expensive gear. 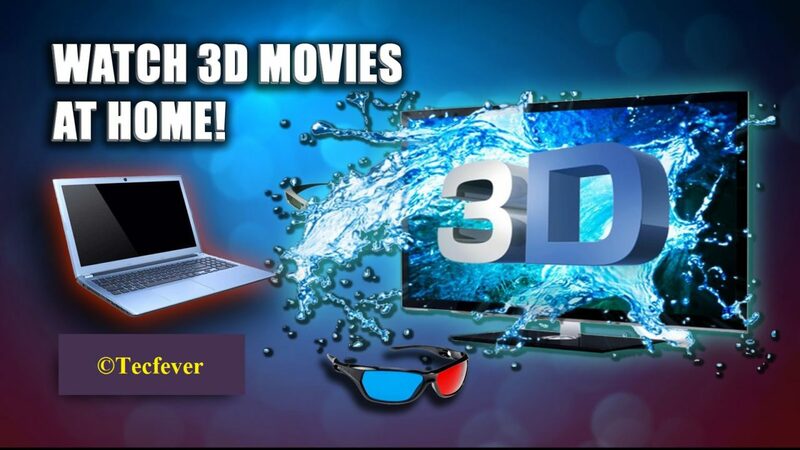 To watch a 3D film on your laptop, you need 3D video you wish to see, a 3D glass, your laptop and you are ready to watch! Now you will ask from wherever can I get those 3D glasses.Now you Sit back, Relax and Read this full article for the solution to watch 3d movies at home without any problem. Using 3D Glasses To Watch 3D Movies. Method 1: – Buy a 3D Glass Online. As we all know without 3D glasses, it is not possible to see 3D results. So you can buy 3D glass online which is very costly. Below online selling websites will help you to buy 3D glass. Method 2: – Get 3D a Glass From Local Market. Take a lighter shade of blue color. Red should be thick and should certainly be red – not orange/brown. Darkness level of both sides should not mismatch. Two sides should allow an equal quantity of light. Steps To Watch 3D Movies At Home On PC. After purchasing 3D glasses. Now you need a software that plays a 3D video. Standard media players may or may not support this functionality. So it’s better to go KM player who is capable of playing 3D movies on PC\Laptop. Using also similar to other media players is easy. So here are few steps you need to follow. Download and Install KM player which available at free of cost. Open the movie you wish to view in 3D in KM Player. Once the movie starts to play in KM Player, You will see a 3D button as you can see in the picture here on the bottom left corner of the software. Click on the 3D button while your video is playing and as soon as you click on the 3D button and now yourself can watch 3D movies. Other Players To Watch 3D Movies At Home. There are many more video players available to watch 3D movies on PC. In case you will face any issue while using KM player. Then go for another which is useful for 3d movies. 5kplayer is another excellent choice. User Interface of 5KPlayer is very user-friendly. Just play your 3D film and enjoy watching the 3D movie. We hope you all like this method to watch 3D movies at home.We hope you really like this post. Now you can create your own 3D glass and surprise tour friends. If you have any problem or any suggestions please comment here. We are always here to help you. Thanks for reading the article. If you are happy with this post. feel free to share with your friends. Keep visit us for latest technology updates. We are always here to help you. Thanks for reading the article. If you are happy with this article feel free to share with your friends. Keep visit us for latest technology updates. Thanks for your support.